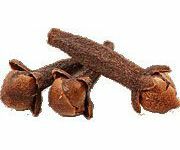 Fragrance: warm, earthy, musky, woody, with spicy and fruity notes. Benefits: provides a comfortable shave, facilitates the razor-blade sliding, soothes the skin and prevents irritation and cuts, reduces inflammation and the feeling of tightness, moisturizes and tones the skin, nourishes the epidermis with vitamins and microelements. Ideal for everyday use. Composition: water, coconut oil, aloe vera leaf extract, cetearyl wheat straw glycosides, cetearyl alcohol, fermented red radish filtrate, caprylic coco glycerides, vegetable glycerin, sucrose laurate, lactobacillus/coconut fruit juice ferment filtrate, xanthan gum, sandalwood wood oil, patchouli oil, lavender oil, chamomile oil, clary sage oil, clove oil. #Forhim provides a luxurious shaving, which fits for the kings of the oriental fairy tales. Sandalwood, patchouli and sage aromas will immerse you into the atmosphere of the pristine wildlife elements: a vast ocean, sultry tropical jungles and fiery volcanoes. The soft cream, gentle like a touch of the sea foam, guarantees a perfect blade sliding, and prevents the irritation and cuts. Coconut oil and natural aloe extract, possessing unsurpassed antiseptic properties, effectively protect the skin during shaving. 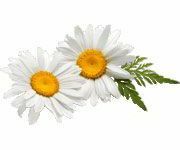 Chamomile and bud clove extracts relieve the feeling of tightness, moisturize and soften the skin. The essential oil complex accelerates the regeneration of the soft tissues, restores the epidermis and saturates it with vitamins, microelements and essential fatty acids. Apply the cream on the skin with a gentle massaging motions. After the shaving, rinse the skin with warm water, sop up the face with a dry clean cloth and apply the shaving hydrate #FORHIM. Cetearyl Wheat Straw Glycosides: As mankind has recognized for thousands of years, bread is the staff of life. The golden wheat berries not only satiate us, but also give our skin youth and beauty. One of the discoveries in "green” cosmetics scientific research is a new generation of emulsifier, called Cetearyl Wheat Straw Glycosides. This substance is a product obtained by the reaction of Cetearyl Alcohol derived from coconut oil, with sugars extracted from the wheat straw. This component has been certified by ECOCERT; it contains no preservatives and it is completely safe for human health. 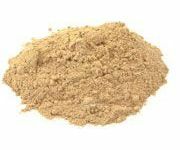 As a part of natural cosmetics, Cetearyl Wheat Straw Glycosides is used to create emulsions with a very delicate structure, which leaves the skin soft and silky without the unpleasant feeling of grease or stickiness. 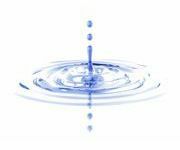 Emulsions based on this kind of self-emulsifier differ from usual, "oil in water" or "water in oil" type emulsions. In their structure there are no droplets; continuous lipid layers are separated by layers of water. The molecules in such structure fit themselves into the lipid barrier of the skin, protecting and restoring it. In various cosmetic products, it prevents transepidermal water loss and provides sustained delivery of the active ingredients and water into the skin. When applying, it moisturizes and softens the epidermis, creating a feeling of smoothness anд luxuriance. Cosmetics with Cetearyl Wheat Straw Glycosides are suitable for sensitive, prone to irritations, mature and aging skin. Cetearyl Alcohol: The word “alcohol” in the composition of cosmetics may seem dreadful to many of us. It could be associated with ethanol - a clear liquid with a harsh odor and a very aggressive action. However, not all alcohols are harmful to the skin. Is it a paradox? Not at all. In chemistry, the word "alcohol" refers to a group of substances that are similar in their molecular structure, but completely different in composition, origin and impact on the human body. Cetearyl alcohol falls into the category of fatty alcohols. At room temperature this substance looks something like beeswax. The alcohol we use in our cosmetics is harmless. It is a 100% natural product of plant origin, obtained from coconut oil by hydrolysis. And, of course, cetearyl alcohol bears no relation to the alcohol used in beverages! 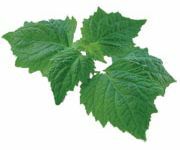 It is very "friendly" to the skin, and has noticeable anti-inflammatory and moisturizing effect. In creams, lotions and body butters, it takes on the role of a natural emulsifier, preserving the emulsion in a stable condition. Also it softens the dense texture, soft and makes the mixture of air and prevent its stratification. Furthermore, cetearyl alcohol is resistant to oxidation, which helps protect the product structure from the damaging effects of oxygen and daylight. 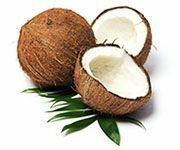 Caprylic/Capric/Coco Glycerides: At the back of this complicated chemical name there is an absolutely natural and useful compound, derived from coconut oil. The main components of this cosmetic ingredient are two saturated fatty acids, capric and caprylic. These acids act as natural preservatives, which can inhibit the growth of harmful microorganisms, such as bacteria and fungi. 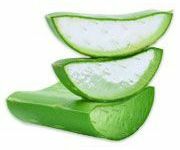 Its’ strong antioxidant effect not only maintains the youthfulness of skin, but also prevents the oxidation of cosmetic products, and extends their shelf life. Caprylic glycerides create a thin barrier film on the skin surface, which helps to reduce the loss of moisture, prevents dryness, and provides a feeling of velvety smoothness. Due to its’ low molecular weight, this substance is able to penetrate into the skin easily and get absorbed quickly, leaving no feeling of greasiness. This marvelous property also helps to transport into the epidermis various nutrients, vitamins and minerals which are included as a compound of cosmetics. Its chief job is to replenish and repair damaged skin, moisturize and saturate it with oxygen, normalize the acid-alkaline balance, and protect against the negative effects of the environment. Cosmetics with coconut glycerides are ideal for oily skin; it does not clog pores and causes no acne. Gentle protective action and the ability to reduce inflammation are irreplaceable for sensitive and problem skin. Sucrose Laurate: Sucrose Laurate is a natural emulsifier with moisturizing properties and very soft action. In various cosmetic formulations, such as lotions or body butters, it is used to mix the oil and aqueous phases together; it does not allow the separation of the final product. Sucrose laurate is especially effective during the so-called "cold production", when all cosmetic components are mixed at room temperature. We use this method in our factory: it allows us to retain all the natural power of herbal ingredients in by-cosmetics products. 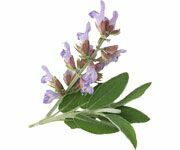 The heating can destroy vitamins, minerals, and beneficial amino acids included in the composition of the plants and essential oils. This harmless substance is a derivative of the two herbal ingredients: cane sugar and lauric acid. 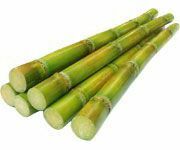 Cane sugar is one of the healthiest natural sugars; it is rich in vitamin B complex and minerals. Lauric acid is abundant in some vegetable oils, in particular in coconut oil. This saturated fatty acid has antimicrobial, antiviral and antibacterial properties. 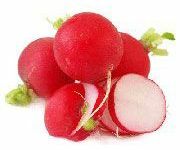 It acts as a powerful antioxidant that protects the skin from UV rays, sharp air and strong wind. 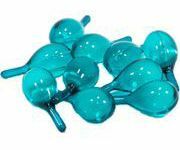 In addition, it effectively heals cracks and micro traumas of the epidermis. And what is more, lauric acid is a major component of... human breast milk, which increases immune forces the child's body. 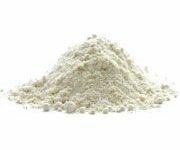 Xanthan Gum: Xanthan gum - is a natural polysaccharide which is emitted by the bacterium Xanthomonas campestris, where it is contained on the intercellular level. Used as a thickener and a stabilizer for many components needed to create a smooth and delicate texture. Because it is a natural food additive found to be safe and hypoallergenic even for the sensitive skin. 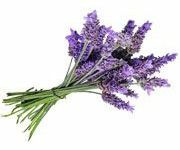 Linalool*, Limonene*, Geraniol*, Eugenol* - from natural essetial oils. Store at room temperature, avoid direct sunlight. The product can be used within 6 months from the date of manufacture.